Source: Berlin 19th century manuscript. 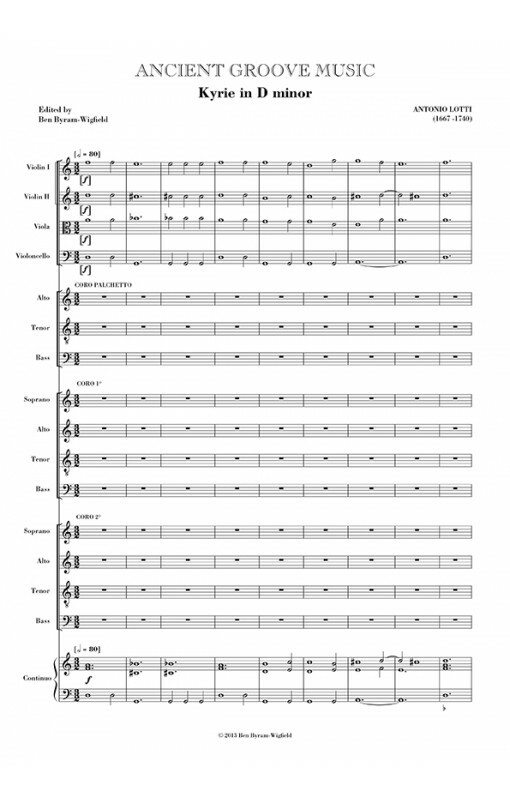 Kyrie for two choirs of SATB and an ATB “Coro Palchetto”, in the Venetian polychoral style. 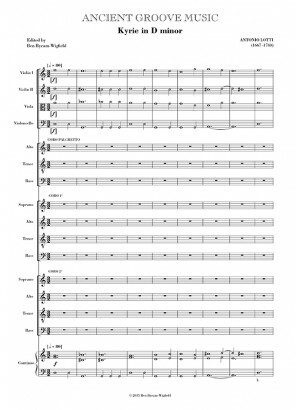 One of seven written by Lotti for a similar vocal scoring. Christe is ATB, SSA, SAT; final Kyrie is a four-part fugue.